A thick and rubbery polyurethane formulae that is elastic and supple, yet scratch-proof and very durable. It is applied in multiple layers through a silkscreen process to the areas where protection from abrasion as well as an anti-slip grip is needed, such as gloves palms, socks soles, speargun chest loading pads, knees and elbows. Smoothskin is actually the upper and lower crests of the master foam after it comes out of the mold. Think of an angel cake that was just baked. Imagine the crusty surface that is smooth since it was the one exposed to the heat of the oven. We at Yazbeck, use that “crust” as a waterproof seal. You will find it in most of the Yazbeck wetsuits used as a face, wrists and ankles / leg opening seals. This is also the part that enters in the fabrication of our legendary Freedive Hunter socks. How to repair a cut on the outside of your wetsuit? 1- Make sure the surface is washed with fresh water and that all dirt and sand is removed. Then let the suit completely dry. 2- Apply Yazbeck Neoprene Repair Glue on each broken edge and cover completely. 3- Keep both sides of the cut separated and wait until dry to touch (about 10 minutes or so, depending on weather and humidity in the air). 4- Apply a 2nd coat on each edge of the cut. 5- Wait again until dry to the touch, then CAREFULLY and PRECISELY join the edges. 6- Once edges are joined, press and pinch forcefully in order to squeeze out any tiny air bubble that may still be trapped between the 2 edges. a surface stitching with a thin needle and NYLON or POLYESTER thin thread (NO Cotton, as sea salt will break it down) – you can use a matching color thread with the Camo of the suit. If you have liquid latex, even better. It can be applied in 3 to 4 layers after glue has dried. Even without surface stitching, the latex will completely hold it together. Liquid Latex can be found at any hobby store. 2- Apply the Yazbeck Neoprene Repair Glue on each broken edge and cover completely. Keep both sides separated, do not connect them yet. 4- When both sides feel dry when touched, CAREFULLY and PRECISELY join the edges. Press and pinch forcefully in order to squeeze out any tiny air bubble that may still be trapped between the 2 edges. What is the Hamour Camouflage? The Hamour Camo pattern is definitely the most effective Camouflage design ever to be created. It is a world premiere in many aspects. Its chameleon-like instant morphing, blends-in any surrounding environment, rendering different hues, depending on light, colors or shapes, with such a holographic effect, that it’s nothing short of magic. Never before has a camouflage behaved so organically and is no coincidence, for it took us more than 3 years of research and development before we finally created it. The “Hamour” would be impossible to reproduce with standard inks on any commercially available fabric, made by any other brand in the world, including DuPont’s famous Lycra™ and Spandex™, which both pale in comparison with Impermeaflex®, Yazbeck’s exclusive, hyper-flexible and hydrophobic lamination and rashguard fabric. How is it possible that Yazbeck wetsuits are “green” and environmentally friendly? At Yazbeck we are concerned about the earth’s environment and we want to emphasize that the YAMAMOTO Neoprene used in our products is not petrochemical based but from a Limestone based polymer with a 99.7% calcium carbonate concentration. This point is also acknowledged for greater acceptance in the market of the medical products made of Yamamoto’s neoprene rubber, which has been approved by the FDA. Calcium carbonate foam is much cleaner and more eco-friendly compared to petroleum-based rubber even from the point of its manufacturing process; because, we don’t use petroleum as the primary resource. The quantity of heat for processing and producing these raw materials is one tenth that being used in refining the equivalent petroleum neoprene products on the market today, and the heat generated is utilized for the raising of eels which are used as a food resource in Japan. The source of heat that is generated is from used tires and the electric power we use is generated from several dams and power stations constructed below the high mountain range near our facility. This special technology to convert limestone to neoprene rubber is considered environmentally clean and friendly in relation to how neoprene is traditionally manufactured. The material can be processed to its unique low viscosity at low temperature. The Yamamoto Neoprene manufacturing process is precisely controlled at below 0.5 centigrade. Special compound to match limestone. The brief processing method of the limestone is to make acetylene gas spring up by burning the tire and to liquefy it by the chemical polymerization, then to dry it to chips. Impermeaflex® is a unique and exclusive fabric specially knit from a blend of ultra-supple, high performance, specially knitted synthetic fibers. Contrary to the traditional fabrics normally used in the past by the industry, Impermeaflex® has less tension and stretches 4 ways, at more than 3.5 times its own length, making it even more elastic than neoprene itself. Therefore, Yazbeck wetsuits are so supple, they fit and feel like surgical gloves. – The feel: Smooth, silky, soft and supple unlike any other laminating fabric. – The functionality – Hydrodynamic: it will cut through water faster, because unlike other fabrics, it’s hydrophobic. Waterproof: The wetsuit will therefore be lighter out of the water and will dry in minutes. Imagine how nice and warm it is to wear it again for another dive a few minutes later. Suppler: Will stretch more and allow for an optimal comfort and much better fit. This means a longer breath-hold with each dive and longer hours in the water due to the increased freedom of movement. Stronger: It will resist wear and tear more than traditional fabrics. Resilient: it will not creep nor lose its properties as it ages. Resistant: Will never bleach under duress and the elements, such as U.V or salt water. Therefore it will last much longer than other fabrics. Why dive in a Yazbeck Holoblend® Camo wetsuit? FreeDive Hunting photographers, videographers and spearfishers, seek that unique moment for the perfect shot.Whether it is for that once in a lifetime photo, video footage or trophy game fish; Holoblend® will give freedive hunters around the world the edge. It is the answer to their ultimate quest; blending in and getting their subject to get as close as possible to them. Spearfishers want to outsmart that elusive fish. On land or in water, blending in the surrounding is what preys as well as predators have been perfecting since the dawn of time. On any outing, hike or dive, just take the time to really look around you. You will start seeing this pattern everywhere; plants, insects, reptiles, mammals, birds, mollusks, crustaceans and fish. Camouflage is a magical art. When stalking fur and feather game, each careful extra step of barely one foot would change the whole perspective for a hunter’s trained eyes. Suddenly, the tiny flag of a cottontail in the corn field, the contour of a grouse against the autumn’s carnival colored maple leafs, or the black dot, betraying the eye of an all-white hare bundled in the snow, would make all the difference between an exquisite family game dinner with the glamorous tales for dessert, and the sorry “been –skunked” feeling over a bitter beer downed with the story of the one that got away. Make no mistake; a great Camouflage makes all the difference. No matter how good and experienced a freedive hunter is, properly blending in the surrounding does give an edge and will increase the chance of success. Sure, we all know that the fish can see, feel, hear and smell us, no matter what. That’s a fact. Not only fish can see us, but unlike most animals, they see us in color too, since their eyes have all 3 types of RGB color detecting cones just like humans do. Fish can also smell us. So let’s make sure to skip the aftershave or deodorant before the morning dive ? Fish can also hear us. Sound is stronger and travels almost 5 times faster in water than in air. So they can even hear our heart beat. And finally, fish can sense and feel our presence in the water. Let’s not forget this is their home. They can feel the not so subtle current change as it moves around us when lying in wait, and can even guess our size based on that. So why bother wearing a Camo wetsuit? Well, we all know the old adage: “Curiosity killed the cat”. The fish feels, hears and smells an alien in their backyard. They “know” we’re there. But they need to take a look. That’s simple curiosity. They usually almost always manage to sneak up on us from behind. If what they actually see does not correspond to what they “know” and “feel”, this will trigger another scouting response. Holoblend® is breaking-up our one big shape and form into several smaller parts. That’s what camouflage does to trick the eye / brain connection. Chances are they will come for a closer look and voila; the edge we were looking for. How come no other brand in the world can come up with something similar? The Yazbeck Camo Thermoflex wetsuit was not only the world’s first 3D wetsuit Camo, but it was also the world’s first Camo on a Lycra based fabric. The only Lycra laminated neoprene wetsuits at that time were a single color, mostly solid black. And even these were very rare and very expensive then. The introduction of the 3D Camo design and printing was a game changer 10 years ago. And when the Yazbeck Camo Thermoflex model wetsuit was released in 2006, it took the freedive hunting and spearfishing world by storm. When it was exhibited at DEMA 2008 in Las Vegas, the most famous diving brand names in Europe and the rest of the world, tried to copy its patterns, materials and techniques. But they all failed. Even today, 10 years later, never has anyone been able to duplicate it or come up with anything even close. The main reason for that is simple: its cost. See, no one in the industry is willing to spend the resources it takes to come up with such a material, since “the spearfishing wetsuit” as they like to call it, is a really small niche item. Its mass production is almost impossible when the whole world market for it does not even represent 1% of the wetsuits in general. Also being very complex to create, if this product was worth patenting for any company, it would actually involve investing on several patents and not just one. This isn’t just one novelty, but a combination of novelties that resulted in such a revolution. Therefore, only an entrepreneur with enough experience, creativity, passion and dedication to this sport could pull this one off. Profit had to come last on the priority list, which is, as we all know, an absolute no-no for big companies. What’s so special about Holoblend® compared to other brands camouflage patterns? Before Yazbeck started it, none of the other brands had ever used sublimation printing on Elastane before. (Educate yourself about the sublimation printing method by searching for it on Wikipedia.org).Those who do, have copied the idea and method from Roger YAZBECK, except that they do not have the proper materials for it, therefore their resulting wetsuits are a failure. On the other hand, the brands that use other fabric printing methods and heavily market their designs as 3D Camo are merely copycats, albeit bad ones. However, there is a plethora of things that make a Yazbeck freedive hunting wetsuit and only Roger Yazbeck holds all the threads. This is why he has chosen to actually live in China most of the time, to supervise each and every Yazbeck wetsuits production in person. Not even a sample can be manufactured unless he is present in person at the factory for the pre-production, work in progress as well as post-production final quality control and inspection. By end of 2013, Yazbeck had launched the 4th generation freedive hunting and spearfishing wetsuits, whereas the others are still struggling with the first one and still botching it. This is the natural evolution of the 3D Camouflage that Yazbeck created in 2004. It was a first, introduced to the freedive hunting and spearfishing world in 2005 through the launching of the preeminent Yazbeck Camo Thermoflex model wetsuit. Holoblend® is another world exclusive by Roger Yazbeck and can only be obtained through a sublimation printing process on Impermeaflex®. Since 2004, Roger Yazbeck has designed, created and produced more than 15 different, unique and exclusive camouflage designs, patterns and colors. Under his own Yazbeck brand, 7 Holoblend® Camo wetsuits have been launched so far: the “Camo ThermoFlex” (2005 to 2007), then the “Snyper” and the “Kelpstalker” (2008). The “Hamour”/“Scorpionfish” (2014). The 5th and 6th Holoblend® designs are now taking the world by storm, even before their official launching in the U.S.A. These are Yazbeck’s 2015 creations: “Carbone” and “Thazard”. The 7th design is now in testing as a prototype and will be launched in Hawaii in 2016 as the model “Nohu”. Could you give some technical data with a description of this space-age Japanese Neoprene? Yamamoto’s technical rubber is called “Chloroprene.” The performance of Chloroprene is dependent on the raw material and its closed cell condition – if one or more cells are interconnected or if the wall of an individual cell is ruptured, the performance of the rubber is impaired. Yamamoto has been successful in producing the perfect independent closed micro- cell structure. This has been achieved by employing a special polymer derived from limestone along with the most advanced manufacturing techniques – all developed by Yamamoto Corporation, Japan. The individual cells do not absorb water. In addition, each cell of the complete independent closed cells are filled with nitrogen gas and thus do not absorb water at all and realize excellent heat retaining properties and thus offer excellent thermal insulation or heat retaining properties. As a result of its special properties, no water absorption, weight of the material in dry and wet is kept almost same and therefore wetsuits made of this material are not heavy when submerged. The ratio of closed cells of our neoprene is over 93%. This ensures lightweight and a lower specific gravity – essential qualities for wetsuits and swimwear. The nitrogen gas inside the individual closed cells result in exceptional heat retention and efficiency. Super stretchability Our Neoprene’s highest elongation is 480 – 580% compared to that of the human skin’s maximum elongation of 60-70% available at the armpit. 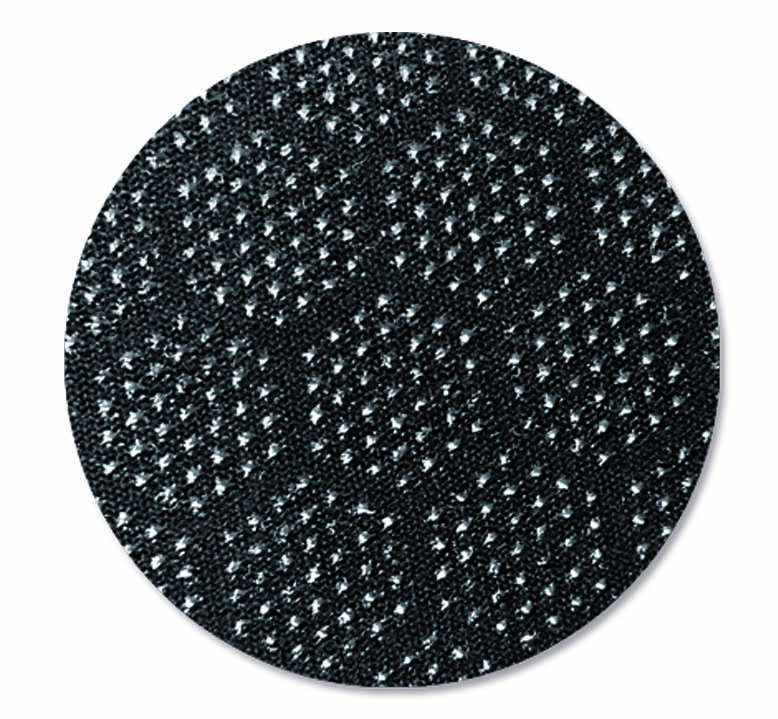 The uniform micro-cell structure of our neoprene ensures that if any part of the material surface is defaced or scarred, new independent concave micro-cells are exposed insuring continued functionality. How is it that special Neoprene manufactured and how could you describe it? The 100% CR Neoprene used in the Yazbeck wetsuits is a rectangular sheet that was sliced to various thicknesses. At its first stage, the sheet is all rubber, called a master foam or slab. Both surfaces look and feel the same: smooth and very soft to the touch rubber (skin), as if polished. When the Neoprene sheet is sliced, thousands of minuscule suction cups are exposed, like a rich “soufflé” or “chocolate-mousse”, filled with air bubbles. This is why divers must lubricate the wetsuit before donning it. Some use talcum powder, soap and water or hair conditioner and water. At this stage, the Neoprene sheet is ready for the final treatment. It could either be turned into a “smooth-skin-out, open/split-cell-in” wetsuit, or into a “Nylon (or Lycra) out, split-cell-in” or Titanium lined wetsuit . The second choice, is obtained by laminating the sheet with Impermeaflex® or other fabric. We then have the perfect “second skin” for a Freediver: “the “split-cell-in”, also referred to as “open-cell” or “skin-in”. What are the main features of “NanoPreneShield®” ? 3- Bacteriotatic; bacterial rashes and odor inhibitor. 5- Feels like your own skin! What is the difference betweeen “NanoPreneShield®” and “BioTermic®”? NanoPreneShield® and BioTermic® are special coatings mainly used to line, laminate or both, the split /open cell area of the 100% CR Yamamoto Neoprene. NanoPreneShield® and BioTermic® are basically the same except that the materials used in their composition differ. The former uses a Bio Ceramic which was invented by NASA in the early 70’s, in its quest for a heat-reflecting material that would protect the space vessels from overheating as they reenter the atmosphere on their way back to earth. The latter, uses Titanium Oxide powder, which has numerous advantages, too long to be listed here. Both NanoPreneShield® and BioTermic® are therefore a coating applied to the exposed “split-cell” inside of some of Yazbeck’s wetsuits, Neoprene vests, gloves and socks. 4- Yazbeck’s NanoPreneShield® and BioTermic® are slick as Teflon® and reflect back most infrared (heat) radiation. This makes them the perfect barrier against heat transfer between the diver and the water and allow the diver to wear the wetsuit without any form of lubrication. 5- A fifth characteristic and the reason NanoPreneShield® and BioTermic® are the choice of top competitive freedivers is, when either is applied on the outside or the inside (lamination and/or lining) of the suit, it drastically reduces water resistance/friction(0.032). On the inside, it eliminates the friction between the skin and the wetsuit during motion, therefore reducing fatigue and consequently, oxygen consumption. And when applied on the outside, its increased hydrodynamics allows for deeper dives and faster times, while using fewer strokes. Yazbeck is the only manufacturer in the world who applies such coatings, directly on the “split-cell” surface, so the wetsuit remains an “open cell” (split-cell) wetsuit, but with the NanoPreneShield® and BioTermic ® phenomenal properties. What makes the Yazbeck Neoprene so different? Yazbeck Wetsuits are made using Yamamoto Japan Neoprene exclusively. That Neoprene, being of 100% CR closed cells Chloroprene, it owes its extraordinary and superior thermal insulation and comfort features, to the hundreds of thousands of tiny nitrogen bubbles trapped in the tiny closed cells within the Chloroprene foam of the Neoprene itself. This is similar to how a “thermos” works, using air for insulation. Air, being 80% nitrogen, is the best gaseous insulation agent. What is the difference between “open-cell”, “split-cell” and “skin-in” wetsuits? A commonly known “Open Cell” wetsuit (technically a “Split Cell Inside) is a wetsuit that is NOT lined at all. Once the slab of Chloroprene master foam has been mechanically “split” (hence the correct appellation “split cell”), it becomes pure rubber with tens of thousands of tiny craters, which used to be the closed cells with the nitrogen gas filling. They now act as suction cups, eliminating any space between the skin and the wetsuit. This is why a diver must lube such a suit before donning it, using water, or water and soap, or best of all; water mixed with some hypoallergenic and fragrance free hair conditioner. Freedivers generally refer to the best freediving wetsuits as “skin-in” or “open-cell”, when these wetsuits have no fabric lining. This is simply because wetsuits are divided into two categories: Wetsuits with fabric lining and wetsuits without fabric lining. By lining, we mean a fabric material, such as Nylon™ or Lycra™ that covers the inside of the wetsuit, which is in direct contact with the diver’s skin. However, both appellations are not technically correct. But we will compromise and accept them, in order not to complicate matters. “Skin-in” may also be what is referred to as “smooth-skin” inside. 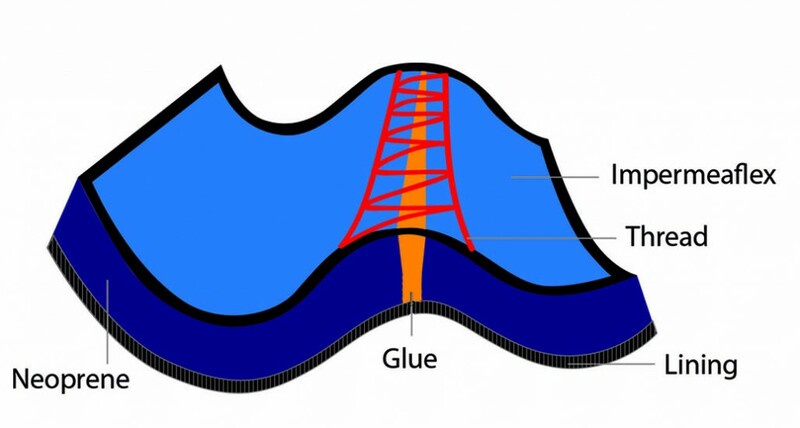 Meaning that the Neoprene sheet was used as is, without “splitting”, therefore defeating the purpose of a perfect fit, adhesion and waterproofing. Many wetsuit manufacturers will use this design and market the wetsuit as “open-cell” or “skin-in”, thus confusing the divers. Skin-in, or smooth skin in, is actually the upper and lower crests of the master foam after it comes out of the mold. Think of an angel cake that was just baked. Imagine the crusty surface that is smooth since it was the one exposed to the heat of the oven. Once you slice that part, the inside of the cake is spongy. Voila! We at Yazbeck Wetsuits, we use that “crust” as a waterproof seal. You will find it in most of the Yazbeck wetsuits used as a face seal, wrist cuffs and leg openings. This is also the part that enters in the fabrication of the legendary Freedive Hunter socks. What is the difference between a traditional wetsuit and the Yazbeck wetsuit? It allows water transfer to the inside of the suit, which then forms a liquid barrier between your skin and the neoprene. Water then absorbs your body temperature trying to match it, thus draining your own warmth while giving you the impression of not being cold. But since the water transfer is occurring during the entire dive, you’re being steadily robbed of much-needed energy. You will be exerting yourself unknowingly, in order to heat up your own insulating water! This means your dive will become shorter and less productive and your breath hold time will be much less than your own potential! It is stiff, bulky and constricting for your movements. This includes restriction of your chest expansion for breath holding! That’s because the neoprene is heavily covered and lined with all sorts of unnecessary fabric in order to make it warmer. Therefore it’s heavy and it doesn’t stretch. This is why it needs long lengths of zippers and heavy-duty sewn seams for maximum hold, as well as a jacket with a separate hood, a separate vest, etc. It is a wetsuit that requires your physique to fit the pre-made suit, not the suit to mold to your physique due to all the reasons listed above. Should your size be slightly different than a perfect model’s, you’ll have to be content with a “loose-long-here” tight-short-there” wetsuit, or perhaps even have to pay and wait for an expensive, custom-made suit. It causes drag in the water. Due to all the reasons mentioned above, the water will have a greater braking effect on your swimming, with all the negative results that reduce your diving capabilities. It doesn’t compress(a necessity for freedivers). Effort is constantly being expended on the way down and on the way up. Also, the deeper you’ll dive, the colder you’ll get, as your body compresses itself, more than the wetsuit, which will allow flooding with larger amounts of cold water (even colder at depth, due to the thermo-cline). It will make you extremely cold while riding on the boat, because once the vessel speeds up in order to change locations or is returning back after the dive, you’ll be trying to find shelter from the wind, trembling from the unpleasant cold-to-the-bone-marrow feeling, from the rapidly evaporating water on your wetsuit, due to the action of the wind. Soon you will find yourself trembling, curled up in the fetal position, or looking for a large plastic bag to wrap yourself with! It allows bacteria growth and will take much longer to clean in order to eliminate the urine smell, which has been deeply absorbed by the fabric lining. No matter how long you hand or machine-wash it, soak it in detergent, disinfectant, perfume or whatever, it will have the ammonia smell embedded in it! The Yazbeck wetsuit on the other hand, have none of the disadvantages listed above. Keep you DRY since a Yazbeck will not allow water in. How? Simply because the Yazbeck Neoprene is so “stretchy” and smooth, it will stick to your skin and mold to your body like latex surgical gloves fit your hands. Most of Yazbeck wetsuits also come with extra waterproofing sealants on the ankles, wrists and hood, thus keeping you totally dry during the entire dive. Because of its stretching capability, you can dive as deep as you would like and still the Yazbeck suit will stay completely sealed. The Neoprene used in the manufacturing of the Yazbeck wetsuit will itself be the insulation, allowing your body to reserve all of its energy for diving and hunting, instead of trying to warm up the surrounding ocean! This will allow for longer and certainly more pleasurable hours of enjoyment in the underwater world, feeling toasty warm and snug, extending your breath holding ability to its best capability. Stay soft, light and silky thus giving you freedom of movement, just like the professional triathlon wetsuit, which is also made of the same material as the Yazbeck wetsuit and is used only for the highest athletic performances. This innovative wetsuit manufacturing process relies on gluing rather than heavy stitching for its assembly, which increases the already superior elasticity. Due to this unique, gluing process, all Yazbeck non-tropical, wetsuits come in two pieces: a jacket with a built-in hood and a long john trouser (farmer-john type). Will fit you like a glove. An off-the-shelf Yazbeck wetsuit should feel like wearing a latex surgical glove. Being that flexible and smooth, it is also very tolerant of various body shapes and it will adapt to your size and mold to it, not the opposite! We also have 10 different standard sizes in stock. Won’t drag in the water, because of the very thin Nylon or Lycra layer covering on its surface. The Chicle® models will have even less drag than your bare skin, since they’re totally smooth on the outside with 0% absorption factor. It will compress on the way down and decompress on the way up in such a way that once you’ve balanced your weight-belt for the diving area and depth, you will realize that you’ll become a master of your own movements. It will allow you to sink like a stone on the way down and pop-up like a cork on the way up. That’s what I call a great freediving sensation! It will insulate you from the freezing wind because it has fabric only on the outside, while inside the wetsuit you are dry, so this eliminates most of the unpleasant “wet-cold” sensation due to the water evaporation. The Yazbeck Chicle® wetsuits for example, eliminate the problem completely. If you are wearing Yazbeck Chicle® on a speeding boat, you could stand facing the wind for the entire duration of the ride and stay totally dry and warm. It will stay clean and fresh and inhibit bacteria growth, because washing the odors away from a Yazbeck wetsuit will be almost as easy as washing it off a glassy surface material, especially if your Yazbeck wetsuit is a NanoPreneShield® or BioTermic®. What is a freediving wetsuit? The Yazbeck wetsuit is made using the newest generation Neoprene that can only be manufactured in Japan. It must be 100% CR (Chloroprene)Neoprene, that’s why. The CR Neoprene relies on Nitrogen pockets for thermal isolation and the wetsuit can only be hand made by skillful professionals. The manufacturing procedure is very complex and takes a long time, because the wetsuit is first assembled, glued and then surface stitched only. It is so flexible, warm and comfortable, it almost feels like a «second skin». The Yazbeck wetsuits fit the freedivers like a glove, literally, giving them the sensation of being wrapped in a perfectly molded silky latex material, with that beyond description “Gel-Oh!” feeling.